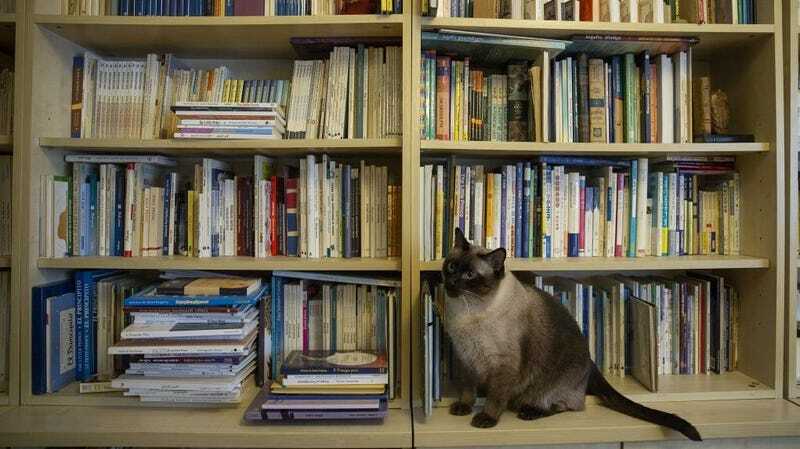 Books and cats just seem to go together naturally so it’s no surprise that in the mystery genre, there’s a sub-genre known as “cozy mysteries.” Unlike other types of mysteries that focus on action, violence, and gore, “cozy mysteries” typically involve amateur detectives solving crimes through intellect. “Cozy mysteries” also include mysteries involving cats. These cats often help out the human detectives solve mysteries or simply provide a sounding board for the detective to talk to. So the next time you’re thinking of committing a crime, just remember that a cat could help discover your crime. That means your own cat could turn on you one day, which is something that every cat owners knows already. To read more about this sub-genre of cat mystery novels, click here.